Star Tobacco International is a globally trusted and experienced reconstituted tobacco supplier. It is a large part of our activity – managing B2B connections with the retailers who trade our products. We strive to be a high-quality supplier as we are practicing to secure exceptional standards in wholesale tobacco leaf business. Please click here for September 2017 STI tobacco leaf crop report. What is Reconstituted Tobacco (Recon)? Simply, it means “recycled” or “reconstituted” tobacco. It can be defined as a tobacco material in sheet shape which is acquired by collecting the remnants of tobacco leaf after the processing procedure. 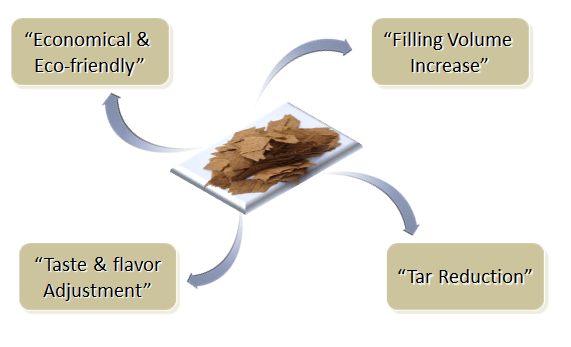 Reconstituted tobacco is also referred as Recon, RTS, RTL, RT, RLT, RCB, PCL and homogenized sheet tobacco. When you put a traditional cigarette under a microscope, you can spot shredded coffee-colored materials inside that resembles the pulp of mashed tobacco stems and various parts of the tobacco leaf. As we defined the terms reconstituted tobacco and sheet, let’s take a look how do manufacturers leverage from this processing technique. To form a very consistent and high-quality cigarette blend. To obtain a good looking physical shape. To reduce tobacco manufacturing cost. Cost saving effect by higher filling volume, burning rate optimization, easiness of adjusting ingredients and inserting flavors are the outcomes of recon technology. Pioneered by Recon INC. Brazil, Comas SPA Brazil, and STI. We are the only company supplying nanofiber recon which became the industry benchmark to obtain the tensile strength, aromatic preservation, filling power and cost efficiency. 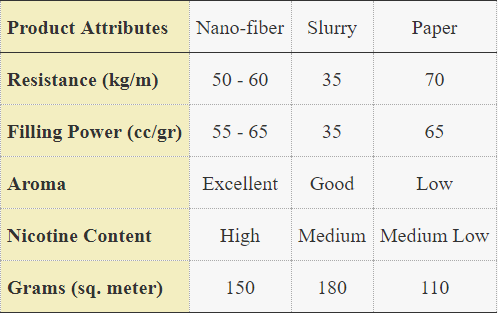 Nano-fiber recon is obtained by the following process. This phase is designed to screen and filter chunks and non-tobacco materials. It involves the removal of metal particles and pre-heating for humidity reduction. Nanofibers can be extracted in solid or liquid form. Solid grinding for a fine mesh of the regular incoming materials (main flow). Fine mesh turbo grinder Enhance silica (sand removal). Stems defibrillation with supercollider in order to obtain Nano Fibers which used as a binder (side flow). Solid Mixing: All solids are measured and brought to a vertical silo. Slow vertical mixing in the silo one silo serves as a buffer. Liquid Mixing: This phase involves the measurement of all components. Humidificants and flexicants added as required. Turbo Mixing: One of the critical points of the process creation of low humidity mixture high-speed tangential manifold spraying of after linuids. Flow control of solid versus liquids to create the right mixture. Low humidity mixture is sprayed with mechanical arms over the formation roles. 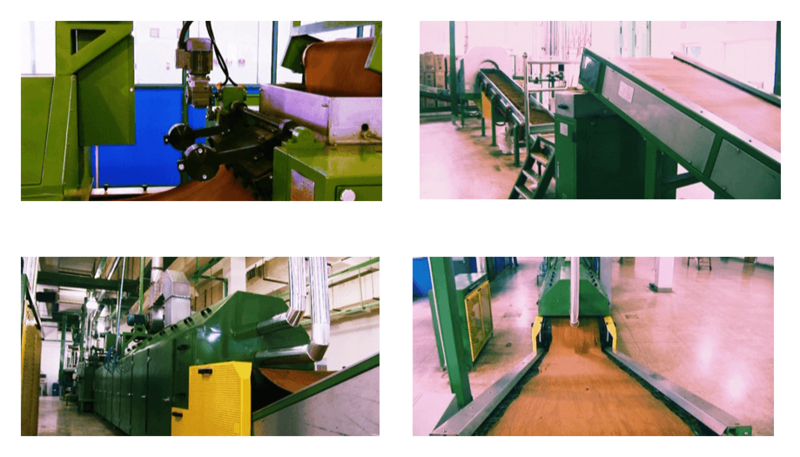 Variable tangential speeds are applied to ensure the lamination process. The process is repeated in two or more stage until the right film is obtained. 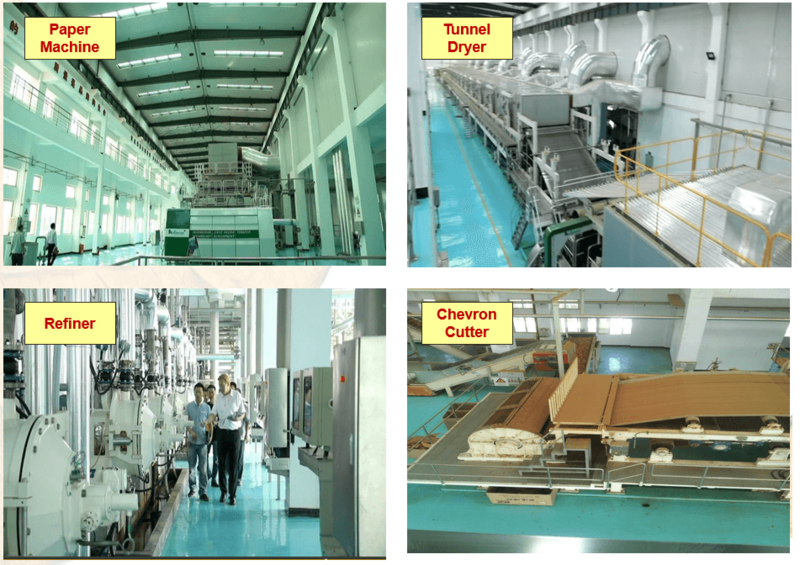 Steam-based processing with double flow dryer. Top and bottom heat convection which is an extremely efficient method in terms of energy usage. Cooling module positioned at the last stage in order to avoid particles adherence. A final humidity control is a best practice for processing nano-fiber recon. Humidity controlled cutting is offered in two options. Shredder for cut rag format to be implemented before top flavor cylinder on the primary line. Automatically weighted packaging is available in C-48 and C-96 cartons. Tobacco by-products are broken up and mixed with water. The fiber portion and the soluble portion are separated. The fiber portion goes to papermaking process to be formed as a base sheet. The soluble is cleaned and then concentrated by evaporation. The formed sheet and the extracted soluble are combined again. The sheet is dried and cut into suitable shapes for the cigarette manufacturer. Slurry Paper is a mixture of fines and tobacco stems is ground to power, mixed with water and vegetable binding agent. The soluble residue is formed to sheets by extracting the water.